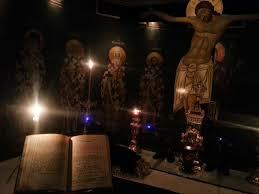 Liturgy of the Presanctified Gifts. Annunciation of the Theotokos. Matins and Divine Liturgy. Service of the Akathist Hymn (Salutations to the Holy Virgin). The Service will be conducted by His Grace Ezekiel of Dervis.